This specimen comes from the Skorpion mine in Namibia, one of the world's largest zinc mines. The locality has an unusual ore mineralogy, with zinc contained in the clay minerals fraipontite and sauconite. 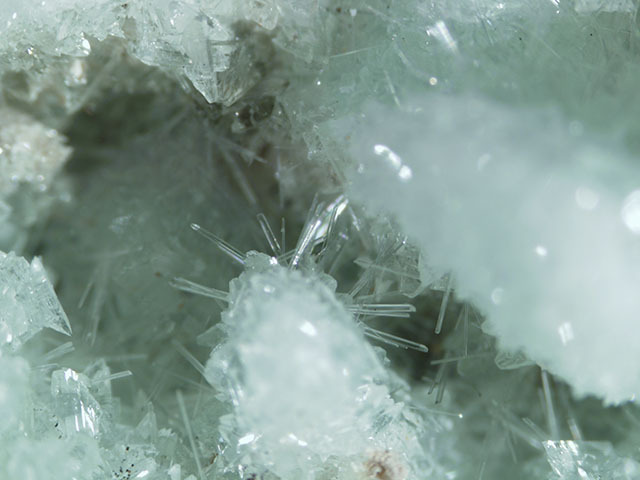 Within recrystallized areas in the ore, rare pockets contain unusual zinc minerals. 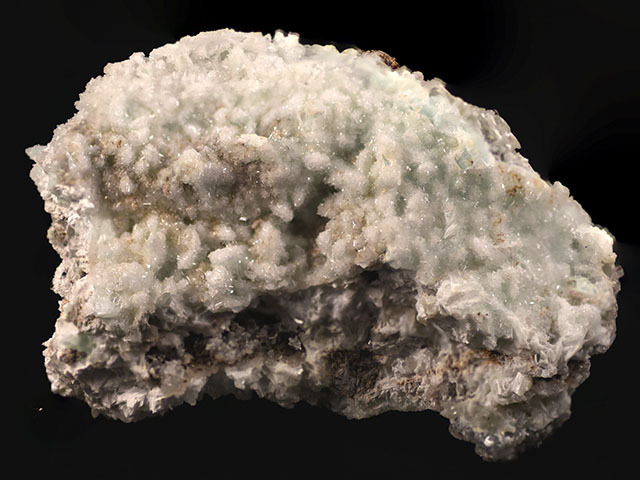 Skorpionite, named in honor of this locality, is a calcium zinc phosphate carbonate (Krause et al. 2008). 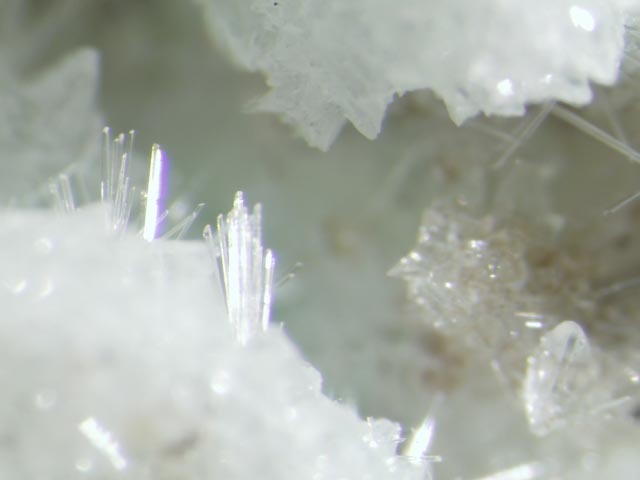 Skorpionite here forms silky white needles to 1 mm, on blocky hemimorphite crystals to 1 mm. This specimen came to market originally in 2007; such material is not available as miners caught collecting at the Skorpion mine are immediately dismissed.